All the staff at Hilary Meredith Solicitors dressed up in their finest ‘tropical’ outfits last Friday to raise money for their charity of the year, Sanctuary for Veterans. 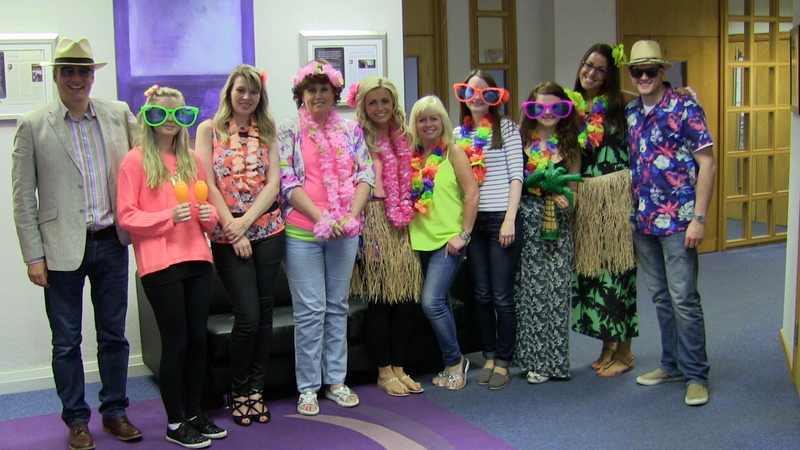 Each person made a donation to the Charity in return for leaving their usual formal work attire at home and arriving at the offices in Wilmslow and London in their brightly coloured tropical outfits to make it a Truly Tropical Friday. A total of £100 was raised for the worthwhile charity who provide respite and support for injured ex-military personnel and their families.